The Justice Department on Wednesday appointed former FBI Director Robert Mueller as a special counsel to oversee a federal investigation into potential coordination between Russia and the Trump campaign during the 2016 presidential election. The appointment came amid a growing Democratic outcry for someone outside the Justice Department to handle the politically charged investigation. It followed the revelation Tuesday that fired FBI Director James Comey had written in a memo that Trump, in a February meeting in the Oval Office, had asked him to end an investigation into former national security adviser Michael Flynn. The White House has denied that account. 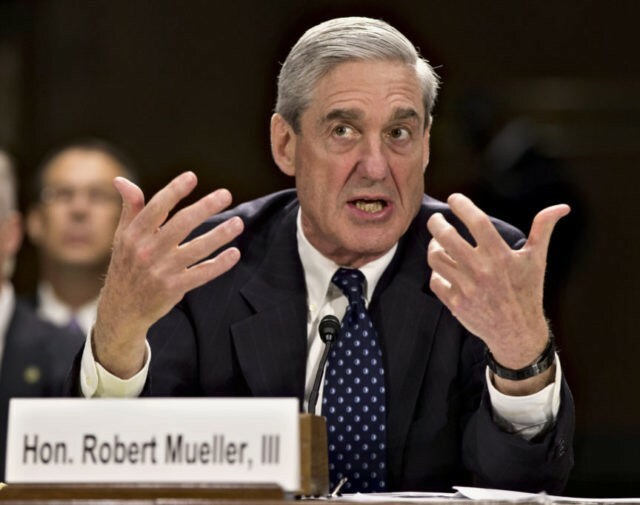 Mueller was appointed FBI director in 2001 and led the FBI through the aftermath of the Sept. 11 terror attacks. He retired in 2013. The Justice Department said Mueller has resigned from his job at a private law firm to take the job of special counsel. No matter the outcry, the Democrats under Obama stood tough: no special prosecutor for anything. But the Republicans, facing pressure from a minority party, go ahead and do it. This is because the Republican Party - the crony capitalists - hate Trump and hate the populism that put him there. This investigation needs to be undertaken, it needs to find no crimes to indict, and it needs to be closed. I can't disagree with any of that except to say the democrats and the msm will never let it go. You're right - they won't let it go. But they only have the power that the Republicans give them. The Democrats control nothing, and can force nothing. If they are getting their way, it is the Republicans who are doing it, because the Republicans control the entire government. This is the crony capitalist Republicans trying to take out Trump, with Democrats braying more loudly and screaming for his head. The Democrats are not the movers here - they are the cheering squad.